Who will win Best Picture at the Oscars? The Academy Awards are upon us yet again, with even more American chest-beating than last time Katheryn Bigelow was nominated, and won, with a controversial war drama. Last time, when Bigelow triumphed with the Hurt Locker in 2009, the atmosphere was pretty patriotic. But this year takes it to the next level, with three dramas about American power all competing for the Best Picture – Lincoln, Argo and Zero Dark Thirty. So who should win, and who will? In terms of celebrating America, something that usually goes down well with the judges, Lincoln wins hands-down. Already lionised as a visionary humanitarian and national saint, Steven Spielberg’s movie uses a powerhouse performance by the go-to man for such things, Daniel Day-Lewis, to further ingrain Abraham Lincoln as not just a political hero, but a cinematic icon. Unfortunately, it’s in the cinematic category where it falls a little flat. In a year when Django Unchained came and ripped apart our concept of historical drama, it would seem somehow regressive if Lincoln, another tried-and-tested historical epic, was chosen ahead of a field of innovators. That’s not to say it won’t win, it just shouldn’t. Of the other two patriotic American entries (second and third favourites by default), the more measured Zero Dark Thirty trumps the whizz-bang action of Argo. The latter, having already won a surprise Bafta, would be lucky to beat Zero Dark Thirty in a head-to-head, what with being a far inferior film, resorting to explosions to manufacture excitement where Bigelow lets the events of Zero Dark Thirty speak for themselves. There are questions over the morality of Zero Dark Thirty’s portrayal of torture, and whether the film implies that Osama bin Laden would have been caught without torture or not, but that’s unlikely to be figuring too high in the Academy’s decision-making. But by far the favourite, if quality film-making was the only thing being judged here (which it isn’t, alas), is Michael Haneke’s Amour. This sleeper hit from the Austrian auteur is moving without being manipulative – a charge Haneke leveled at Steven Spielberg’s Schindler’s List. If both directors attend the ceremony, keep an eye out for the camera cutting to the loser (most likely Haneke) if the other guy wins. If I were a gambler looking for an outside shot, though, I’d punt for Beasts of the Southern Wild. This remarkable independent production is told in the magical realist style of Pan’s Labyrinth, and echoes the tragic moments in America’s past such as the New Orleans hurricane, while warning of future catastrophes as a result of global warming. 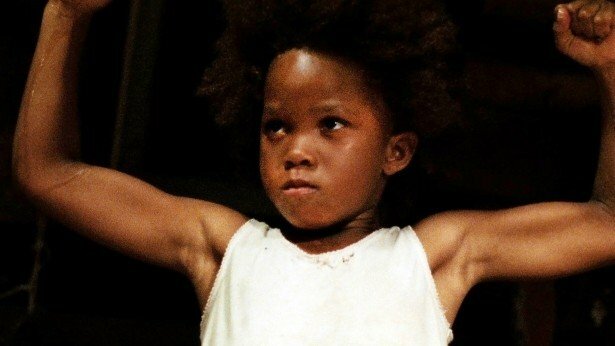 With America in a reflective mood as it deals with recession and a crumbling empire, I won’t be too surprised if Beasts of the Southern Wild is recognized for capturing this prevailing sense of loss.